Take Diamond Queen IGT Slots for a FREE Spin HERE. Diamond Queen is another ripper themed online pokies game from the software giant IGT. This game has been very popular in land casinos throughout Europe and the US and is available as an online slot for all players now. With 20 paylines, the game is an affordable choice, especially for penny player. The fixed jackpot for the game is just 1000 coins, but there are other ways to boost payouts, such as scatter rewards and what can be won during the free spin round. Unfortunately, this pokie is a high variance game, so the bonus round will both trigger often, but when it does, players can expect some hefty wins. Following along with the magical theme, the game offers some great graphics and icons. The reels are filled with crowns, Wizards, wands and other symbols as well as some standard playing card icons. There is also a wild and scatter symbols that will appear. Overall, the design of the game is appealing and the graphics are nicely designed. However, there is a lack of decent animations and some may find the game to be a bit boring. With Diamond Queen, players will be betting on 20 paylines and can choose from values between $0.01 to $10 on each line. Only one coin can be bet on each payline, so the maximum bet is just $200 per spin, which is not enough to attract many high rollers. Based on the standard pay table, the game offers a top fixed jackpot of 1000 coins when five Diamond Queen Logo symbols appear on a payline. The next highest payout is 300 coins for five wizards. The wild is an important symbol in the game as it can appear anywhere and will double the payouts when used in a winning combination. The game scatter, The Mystical Diamond Bonus icon, cam appear on the middle three reels only and will trigger the free spin round. 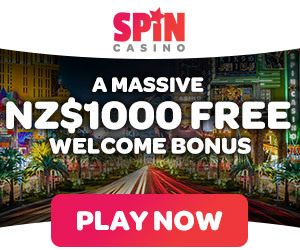 There are just three free spins offered. But on the first spin, the entire second reel is wild. On the third spin, reels 2 and 3 will be wild and the final spin offers all three middle reels as wilds, so there are amazing payouts that can be collected. Diamond Queen is a basic online slot by IGT and there is not much that makes it stand out against others in the industry. However, the game does have an appealing theme and since there are just 20 paylines, it is an affordable choice that will attract many new players. The game has a nice magical feel, though it does leave a lot to be desired. It could be a great game with the simple addition of a second screen bonus or enhanced graphics and animations. Overall, it is a game that will suit those that enjoy basic pokies with simple free spin rounds. Give it free spin on our site today! Google + Profile: Tina Lim on April 8, 2015. on August 21, 2016.